T.J. Blanchard had 26 kills on Thursday to lead Mojave to a 25-19, 21-25, 22-25, 25-16, 15-12 boys volleyball victory over host Boulder City. Juan Carbajal added 38 assists, and Tay Alexander had four kills and five digs for the Rattlers. Preston Jorgensen led Boulder City with 33 kills. Boen Huxford added 36 assists, and Kannon Rose had 26 digs for the Eagles. Las Vegas 3, Legacy 1 — At Legacy, Allan Juarez had 12 kills, 13 digs and five aces to lead the Wildcats to a 16-25, 25-22, 25-12, 25-21 win over the Longhorns. Jaelin Gray added seven kills, and Jam David had 10 digs for Las Vegas. Garrett Linnell led Legacy with 11 kills and six digs. Harrison Moore and Malik Wesley each added seven kills, and Nathan Johnson had 25 digs for the Longhorns. Sunrise Mountain 3, Valley 1 — At Sunrise Mountain, Tee Williams had nine kills as the Miners downed the Vikings, 25-27, 25-18, 25-12, 25-18. Efran Zepeda had seven kills and six digs to lead Valley, and teammate Romley Agustin served five aces. Centennial 3, Bonanza 1 — At Centennial, Cole Kahle supplied 14 kills and five blocks as the Bulldogs beat the Bengals, 25-12, 25-22, 19-25, 25-10. Caleb Wagner had 16 assists, and Justin Madsen added 13 kills for Centennial, which got 11 kills from Nahmani Brown. Anthany Lemus dished out 31 assists, and Mark Thuet had 23 kills and five digs for Bonanza. Mataio Valoaga had 11 digs and four kills, and Rayden McLaughlin supplied eight kills and six digs for the Bengals. Cimarron-Memorial 3, Desert Pines 0 — At Desert Pines, Kilmor Amor supplied 20 assists and five aces to lead the Spartans to a 25-11, 25-5, 25-15 sweep of the Jaguars. Hakeem Williams added four kills and three aces for Cimarron. Jose Plancarte-Villa had four aces for Desert Pines. Del Sol 3, Chaparral 0 — At Del Sol, Alan Ramos-Flores had 25 assists and six kills as the Dragons defeated the Cowboys, 25-11, 25-15, 25-14. Tyrell Hampton added six kills for Del Sol, which got four kills apiece from David Anderson and Damani Morris. Palo Verde 3, Canyon Springs 0 — At Palo Verde, Cooper Jarman had 12 kills and 14 assists as the Panthers swept the Pioneers, 25-19, 25-15, 25-9. Jared Brady had 10 kills, and Kade Madsen had seven kills for Palo Verde, which got 21 assists from Ashton Earl. 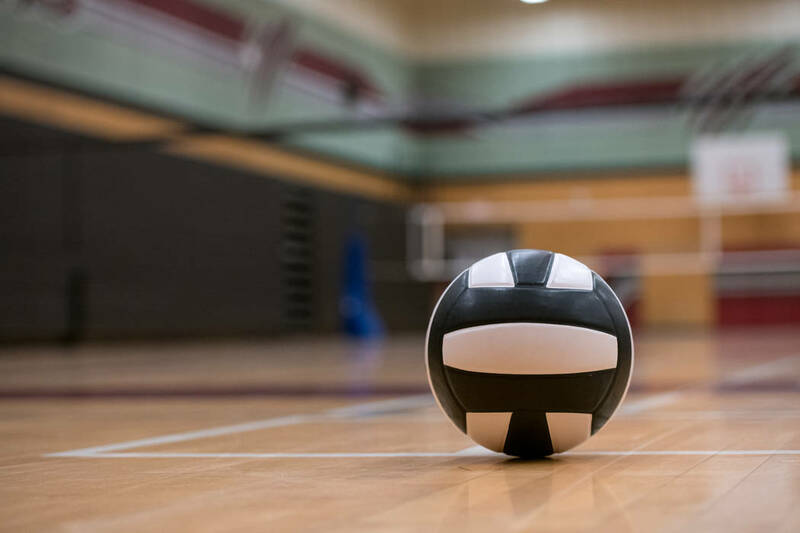 Alonso Casillas had two kills and three blocks, and Tony Washington had two kills and three digs, for Canyon Springs, which got 10 digs from Oscar Marquez. Arbor View 3, Rancho 0 — At Arbor View, Max Senior supplied 18 assists and five digs to power the Aggies to a 25-8, 25-10, 25-13 sweep of the Rams. Tyler Worthington had 16 digs, and Chad Decker added 13 digs and five kills for Arbor View, which got five kills from Malik Jean-Louis. Adlai Rodriguez led Rancho with six digs and four kills. Shadow Ridge 3, Cheyenne 0 — At Cheyenne, Jordan Kirk had 10 kills and 14 digs to lead the Mustangs past the Desert Shields, 25-20, 25-13, 27-25. Tyson Mott added eight kills and four digs for Shadow Ridge. Ryan Buchanan and Brandon Willcoxson each had six kills, and Denzell Brown had 14 assists for Cheyenne. Sky Pointe 3, Western 0 — At Western, Jaegen Driscoll had 19 kills to lead the Eagles past the Warriors, 25-10, 25-14, 25-8. Danny Cox had six kills, Jaden MacFarlane had 21 digs, and Brayden Dorsey dished out 27 assists for the Eagles. Giovante Harris had 31 digs for the Warriors.